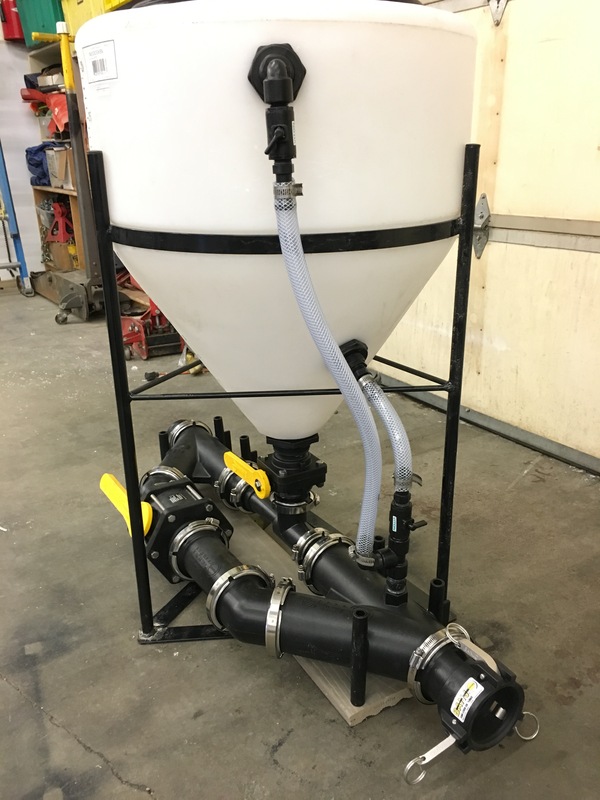 Custom 30 Gallon Inductor Tank & 3″ Venturi | Custom 30 Gallon Inductor Tank & 3″ Venturi – Spray Center Electronics Inc. 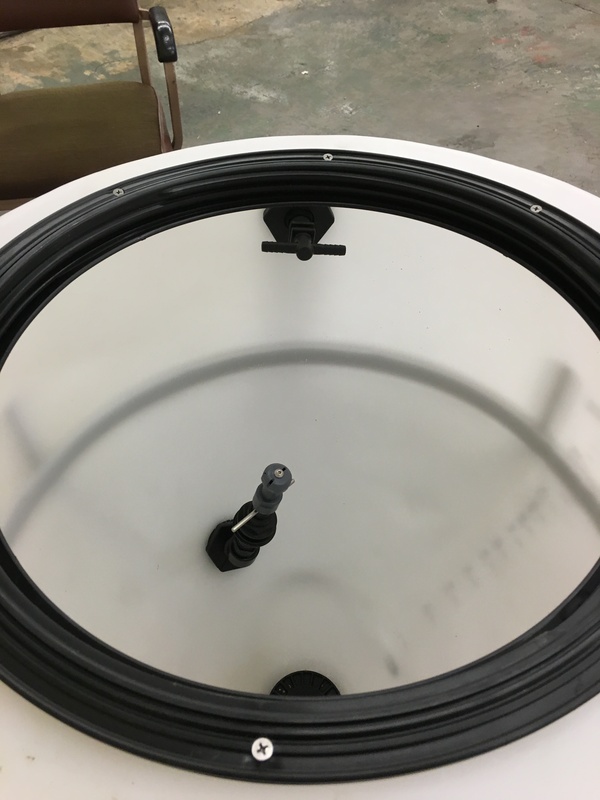 Custom 30 gallon inductor tank and stand with over-sized 16″lid cut in. 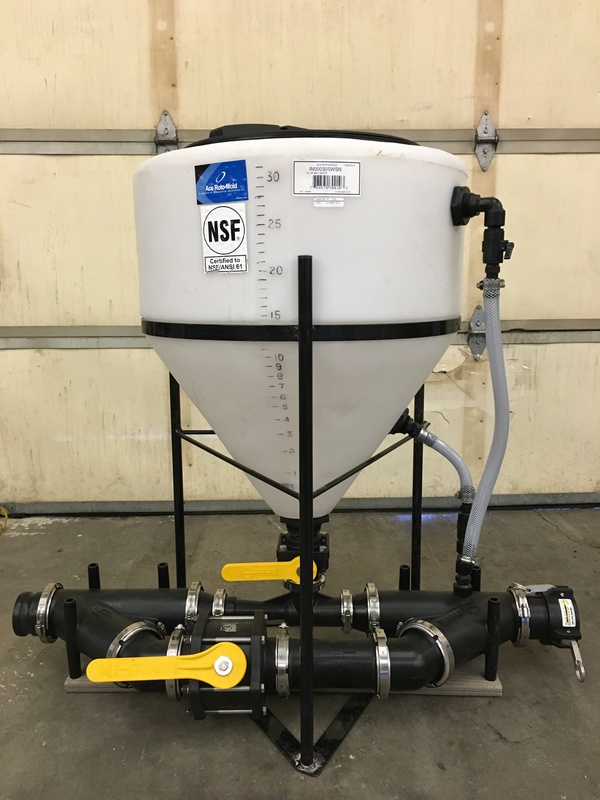 3″ venturi with 3″ cam locks on either end for quick connect/disconnect of hose. Push to actuate jug rinser and tank rinser with external valve for quick on/off functionality.